Your leaders will be able to actively build and manage a culture of high trust. 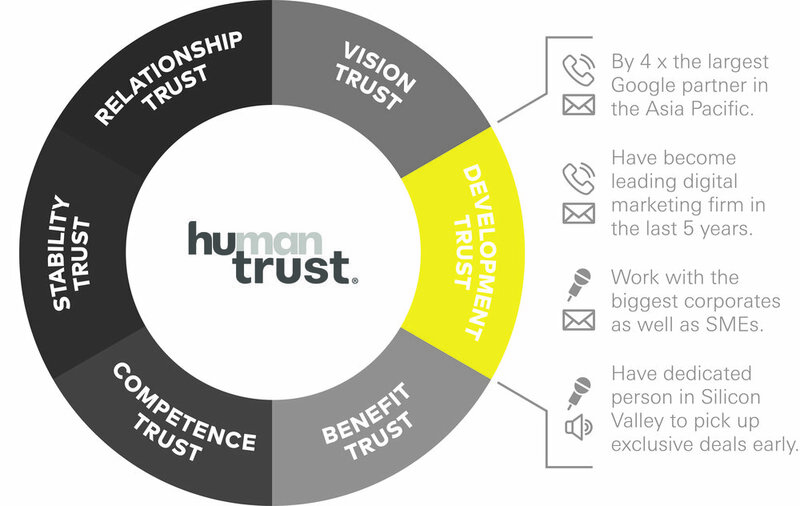 Define your EVP and Employer Brand based on trust. 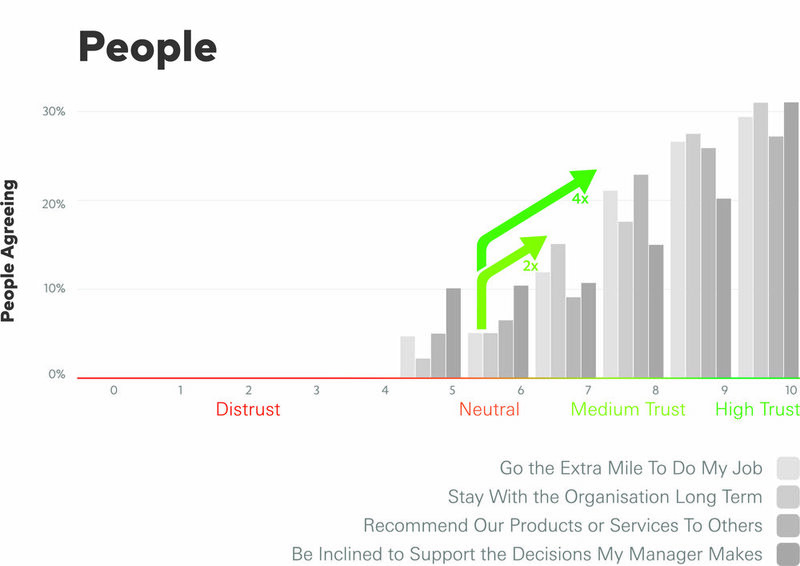 Even small shifts in trust have a huge effect on your organisation’s performance. Know your people’s trust SWOT. Know what drives your people’s trust. Empower your leaders to build and manage trust in your organisation, their leadership and themselves. Know how to build trust. 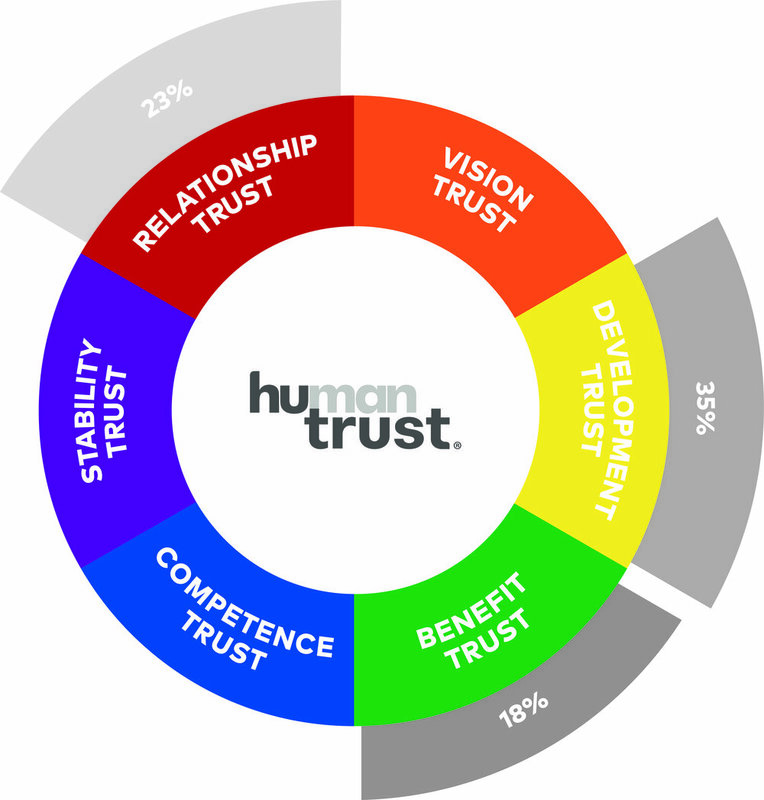 Organisations that are perceived to have a culture of trust are simply more successful. Their people are happier, more productive and they encourage others to join. They are the talk of the town.